As many as 250 jobs are set to be axed at Birmingham Metropolitan College — a move branded “catastrophic” by unions. College bosses have blamed government funding cuts after staff at the college, which is one of the largest in the West Midlands following a 2013 merger with Stourbridge College, were told 200 to 250 jobs were at risk in a bid to cut costs “significantly”. 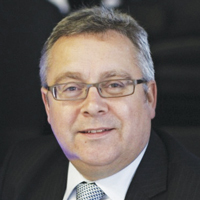 Principal Andrew Cleaves (pictured) said the “challenging times”, for the sector had forced the college to cut costs. “Government funding has reduced by a third in recent years and greater competition in the sector, combined with demographic factors, has put pressure on student numbers,” he said. The 30,000-learner college currently has around 1,600 members of staff. “These conditions have highlighted the need to focus on efficiency, by reducing costs where we can and improving the way we do things,” said Mr Cleaves. He said he was “hopeful” that the cuts could be made through voluntary redundancies and that current students would not be affected. “The efficiency drive we are currently undertaking will leave us better placed to form even stronger partnerships and deliver excellent educational services in the future,” he said. The University and College Union (UCU) described the job cuts as “catastrophic”. But, she added: “With budget cuts they [the college] can’t not do anything”.